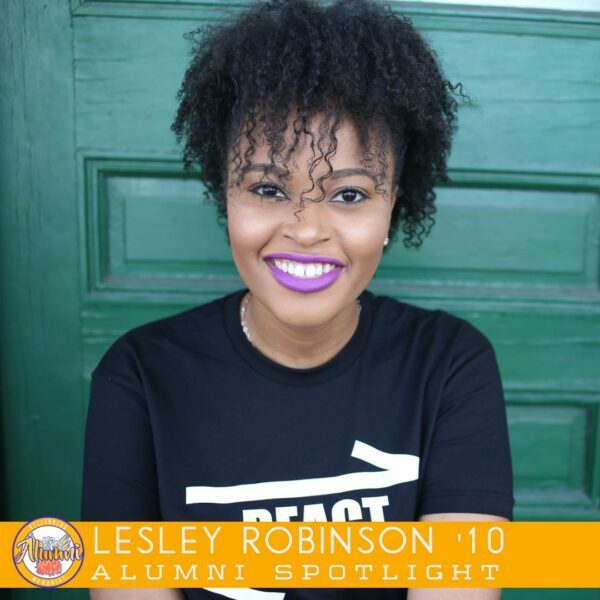 Lesley Robinson ’10 is a Talent Associate at New Classrooms, an education technology non-profit headquartered in Manhattan. She holds a Bachelors of Arts degree from Hampton University in Psychology with minors in Leadership Studies and Strategic Communications. After graduating from Hampton in 2014, she moved to Washington, D.C. to work as a Department of Education Political Appointee under the Obama Administration. At the end of the administration, Lesley and a friend decided to launch an online brand, Project React, that exists to increase civic engagement in the African American community. In her spare time, Lesley visits Rikers Island Jail Complex to mentor young inmates between the ages of 17 and 21. Being impacted by Lesley’s regular visits, Project React launched a campaign to educate their online audience on the topic of criminal justice reform and completed a book drive that led to the collection of over 100 books that were then donated to inmates in jails and prisons throughout the country. How did Kellenberg Memorial shape who you are today? While I was a student, I established my own set of values and developed the desire to serve my community. I was exposed to what it meant to be a servant leader as a PREP teacher and volunteer at St. Martin De Porres. It is very easy for me to become emotionally connected to a cause and feel a responsibility to in some way support it. Kellenberg helped me to realize that about myself. At Kellenberg, I learned to stand up for my beliefs. I spent a lot of time with people who were on the debate team. Though it was a club that I avoided seeking membership in due to the fact that arguing gives me a headache, the people I knew who were members would challenge my beliefs daily. They would combat everything I said and wouldn’t settle for opinions without proper proof or citations. Though the debates often times got tense, we would leave class smiling as if nothing ever happened. From this, I learned that you can have differing opinions from another person and still call him or her a friend. This has come into play a lot within my career. I’ve worked in politics during one of the most controversial and publicized elections and have published op-ed style blog posts about various topics deemed inappropriate for the dinner table. I think respectfully disagreeing makes having opposing opinions okay and Kellenberg taught me how to navigate that. How did Kellenberg prepare you for success in college and in your career? I feel like I’ve been a part of the Kellenberg community since I was an infant (I distinctly remember attending my first BLUE & Gold). My oldest sister, Kimberly ‘96, entered her freshman year at Kellenberg before my first birthday, my sister Ashley ‘03 followed in her footsteps, and then came me. From their experiences, I knew that being a Firebird would be a challenge, but one that would put me on the path toward educational success. Entering college, I felt prepared to take on the new subjects and a new workload. I felt confident in my abilities to strive and I thank Kellenberg for the belief I had in myself. I carry that same belief with me, as I grow in my career. I know that I can walk into any room with my head held high. What inspired you to begin spending time with inmates at Rikers Island, and what have you learned from your work there? As I prepared for my 25th birthday, I reached out to a friend who had been going to visit inmates at Rikers Island to see if I could go with her. I had always been intrigued by her stories about her experience there and thought it would be something interesting and impactful I could do as I entered a new year. Rikers is known for being one of the country’s toughest jails. It houses inmates that have committed all types of crimes deemed reprehensible by society. It is easy to look at the news and believe that the people at Rikers are undeserving of my time, but that would be totally wrong. I have learned to not judge a book by its cover and to read the whole story before jumping to the conclusion. Everyone has a story to tell and listening to these stories can be a gift to the person telling it. I’m not leaving empty handed from my visits. The young men I’ve met at Rikers have helped me to identify my God-given gifts on my journey toward discovering my purpose. They are truly examples of how God works in mysterious ways. They are blessings in my life and I hope that I have acted as a blessing in theirs. Who was your favorite teacher/class, moderator/club, or coach/team from your time as a student here, and why? 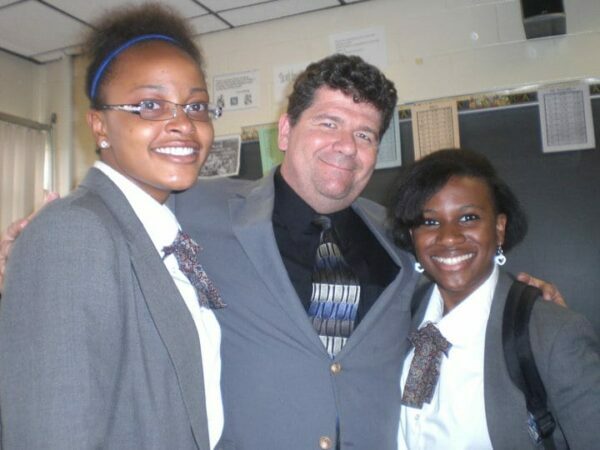 My favorite teacher while at Kellenberg was Mr. Murphy. He made reading Macbeth ten times more interesting than it actually is. His class made English fun for everyone and really challenged me to overcome my shyness to actively contribute to our classroom conversations. He never took himself too seriously but held the respect of everyone who was fortunate enough to have him as a teacher.